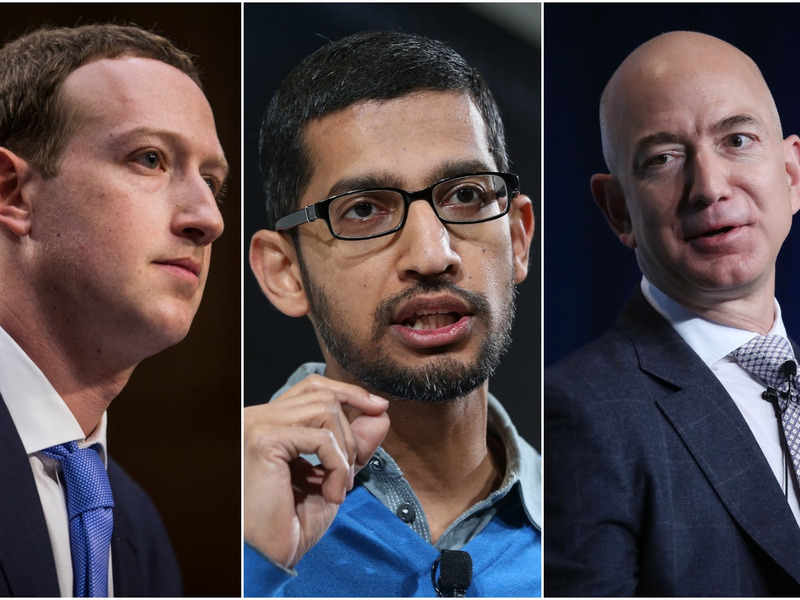 GettyMark Zuckerberg, Sundar Pichai, and Jeff Bezos. 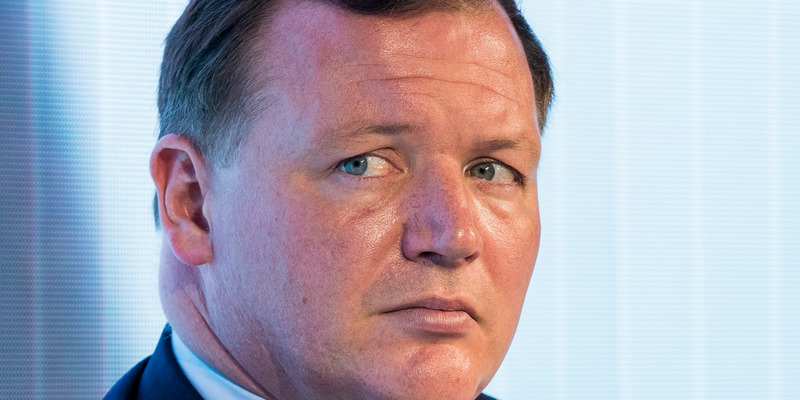 Powerful British lawmaker Damian Collins thinks 2018 will be remembered as the year that everything changed for Silicon Valley’s elite. He said governments around the world are getting their head around the damaging side effects of big tech and regulation will follow. 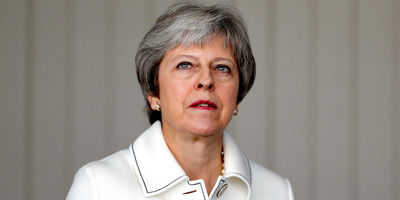 Britain is among those drawing up new tech laws, including around hate speech and inappropriate content, that could change the way firms like Facebook and Twitter do business. He spoke to Business Insider after being named in the Tech 100, a ranking of the 100 coolest people in the UK tech industry. 2018 will be remembered as the year that everything changed for Silicon Valley’s elite. That’s the view of Damian Collins, the prominent British lawmaker who has conducted a year-long inquiry into fake news as chair of the Digital, Culture, Media, and Sport Committee. When launched in September, his inquiry fixed on how false information spreads on the big online platforms. But after the Cambridge Analytica scandal broke in March, the probe evolved into a detailed inquisition into how Facebook data was weaponised to influence the democratic process. Collins, a Conservative politician, now thinks that it is inevitable that the British government will tighten the regulatory reins around companies like Facebook, Alphabet’s YouTube, and Amazon. Collins spoke to Business Insider at his office in his Westminster. The long arm of his inquiry has extended to Silicon Valley and, over the past 12 months, he has come to believe that there needs to be tougher laws for tech. The 44-year-old politician has immersed himself in coding and combed through evidence in forensic detail. He is in regular contact with his peers in the US. One source told Business Insider he is part of an international WhatsApp group where politicians and witnesses share evidence. A bugbear for Collins is that he hasn’t persuaded Facebook CEO Mark Zuckerberg to appear before the committee in London, though he did secure something of a coup in landing CTO Mike Schroepfer instead. His committee’s detailed questioning was a sharp contrast with the easier ride US senators gave Zuckerberg during congressional hearings about Cambridge Analytica. It’s why some believe Zuckerberg has actively avoided a London appearance. Collins has not given up hope of Zuckerberg appearing, but for now, he is optimistic that 2018 will prove to be a watershed moment in people’s understanding of how tech companies have potentially damaging side effects. “It will be a pivotal year because we understand these things better and we’re seeing governments starting to act,” he told Business Insider. Collins pointed to Germany, which introduced a radical new internet hate speech law earlier this year. Companies like Facebook can be fined €50 million (£45 million/$US57 million) if they fail to take down hate speech in a timely fashion. Facebook now has 65 staff dedicated to dealing with complaints made under the new law. “The consequence of that decision is Facebook has invested so that they can comply. What it shows is that the tech companies, when they’re required to act in a responsible way – and required by law – will do so,” Collins explained. The MP thinks Facebook and others are not doing enough currently to make their platforms safe. “There’s an understanding that they need to be more forthcoming, but I still feel that they’re always doing as little as they feel they can get away with doing,” he said. Collins thinks that government will make tackling illegal hate speech, such as terrorism recruitment propaganda, a priority. Theresa May’s ministers will publish a white paper this winter, which will set out exactly how tech firms will be brought to heel. And America will be watching, said Collins. He has collaborated with US lawmakers, including Senators Mark Warner and Richard Burr, on his fake news inquiry, and said they are very interested in what the UK does next. “In terms of our philosophy and our attitude towards free speech and the net, we’re probably philosophically closer to the Americans than the French and Germans. I think the debate in the UK can be leading. The solutions we design here could be models that become standard in the rest of the world,” Collins explained. The campaign for new laws is vociferous in Britain. Britain’s biggest TV groups took the virtually unprecedented step last month of joining forces to write a letter calling for an independent regulator to police content on social media sites like Twitter and Facebook. The BBC, in particular, has been vocal about Netflix and Amazon Prime being subject to tightly controlled broadcasting standards and regulations in the UK. Media regulator Ofcom has outlined plans to impose financial penalties on social media firms that fail to remove offensive content in a timely manner. Collins said increasing Ofcom’s powers could be sensible, while BuzzFeed reported last month that the government is considering a new independent online regulator. Ministers are considering verification laws for users of Facebook, Twitter, and Instagram, according to BuzzFeed. There may be new rules for online ads, an area which is currently overseen by the Advertising Standards Authority. Collins said his fake news inquiry and belief in new regulations does not make him anti-tech. He thinks that lawmakers are suddenly catching up with the tech companies that are reshaping the world – and any resistance to new laws is pretty normal. Christopher Wylie, the man who blew the whistle on Cambridge Analytica weaponising the data of 50 million Facebook accounts, uses the analogy of the auto industry lobbying against seat belts and airbags. This resonates with Collins. “I’ve never met an organisation that instantly embraces the idea of more regulation. There is sometimes a temptation for people to think this is sort of anti-tech. It’s a bit like saying you’re anti-car because you’d believe there should be seat belts in the car,” he said. “I fully support the amazing contribution and the transformative nature the tech sectors, our society has created so many benefits, but like just like any other industry, there are problems that develop as well,” Collins added.